The CPR Refresher course is based on the nationally recognised unit of competency HLTAID001 Provide cardiopulmonary resuscitation. The course is run during the morning session of every full-day First-aid course from 8.30am – 10.30am. Australian Resuscitation Council (ARC) Guidelines recommend CPR training is refreshed every 12 months. 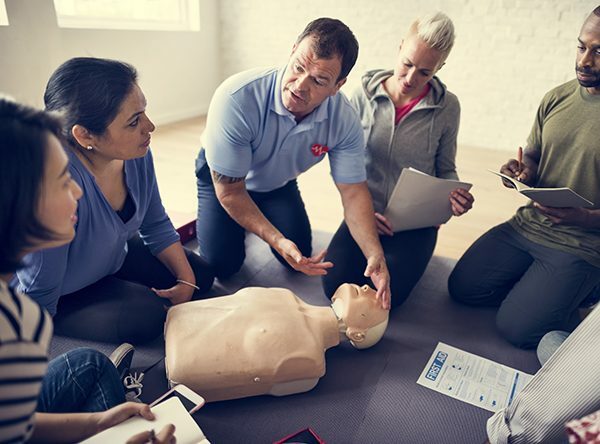 Please select the ENQUIRE NOW button if you wish to enrol into our CPR Refresher courses or if your organisation would like to host a CPR Refresher course at your venue.